Clean eating: The latest trend to come out of the health food industry has become something of a buzzword over the past few months but unless you’re a keen follower of diet foods and health movements, the niche lifestyle might have passed you by in a blur. It turns out, however, clean eating might just be the best thing that you could do for your body right now. Defined by natural, fresh and whole foods that are void of any chemical additives or processes, clean food presents ingredients in their most raw form, packed full of nutrients and vitamins. Surprisingly, eating clean is much easier than it sounds and can be easily incorporated into your normal diet. Want to give it a go? These recipes will show you how it’s done. Thought that breakfasts were a drag? Think again. 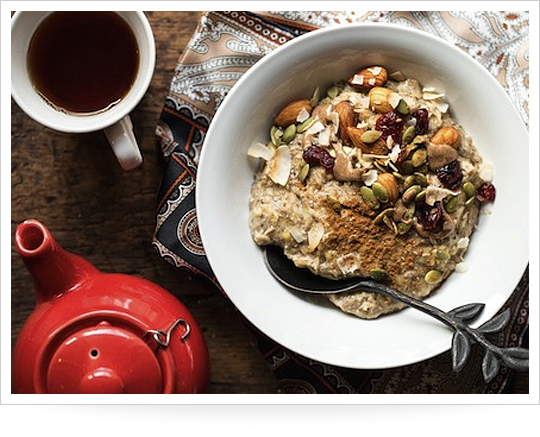 This oaty breakfast bowl is packed full of nutrients and minerals to give you everything you need in order to face the day. Prepared the night before, the dish only has to be heated for a few minutes in the morning before you leave for work, making it perfect even for those days when you’re in a rush. How do you like your eggs in the morning? As long as they’re clean, you can whip them up however you like, although these omelette wraps are a good place to start. Cooked as thin as a piece of paper, the eggs form a healthy pocket for some of your favorite ingredients. What you put inside is up to you! 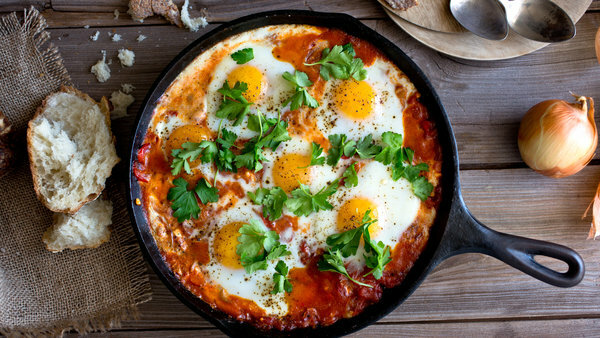 Slow cooked eggs, thick tomato sauce and lashings of cayenne pepper, there’s a lot to love about Shakshuka. 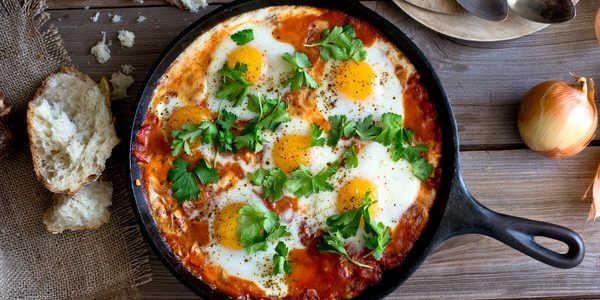 Served up in a thick skillet, this recipe is best enjoyed on a lazy weekend morning, and will warm you up sufficiently to face any icy morning. Thought eggs were just made for bread? Think again. The humble zucchini is one of the most versatile vegetables out there and, packed full of vitamins and nutrients, is a great addition to any clean dish. 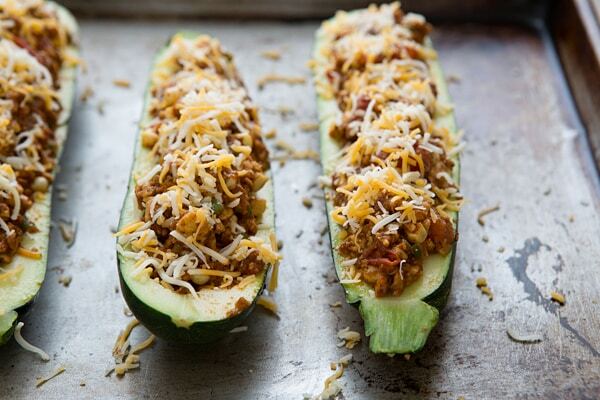 These zucchini boat tacos might just make the best use out of the vegetables as anything out there; stuffed with ground beef, vegetables and a whole range of spices, they don’t scrimp on flavor, either. When it comes to clean eating, you can’t get much better than a salad and this recipe is packed full of a huge range of ingredients. While this recipe is one of the slower to make out there, the end result is more than worth it. Balancing slow cooked wheat, tomatoes and lashings of herbs, the dish makes a great light bite and won’t leave you feeling heavy afterwards. Sometimes, you want something really filling that you know is going to hit the spot. Enter the garlic and zucchini noodle. Doing away with the pasta entirely, this recipe uses zucchinis at the heart of the dish, requiring you to simply throw in your favorite protein and seasonings for that extra taste. The best part? You can whip it up in less than 5 minutes and enjoy straight away.